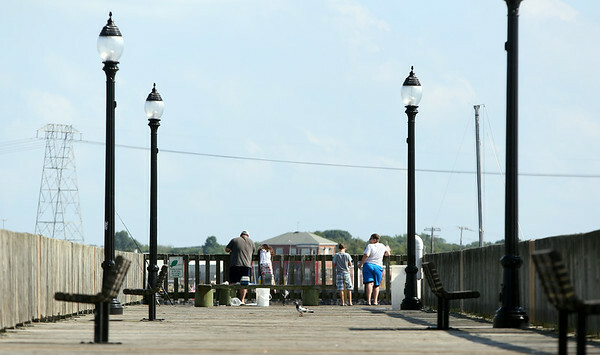 A bunch of fishermen gathered at the end of the pier next to the Beverly-Salem Bridge on a warm Monday afternoon. DAVID LE/Staff photo. 7/28/14.